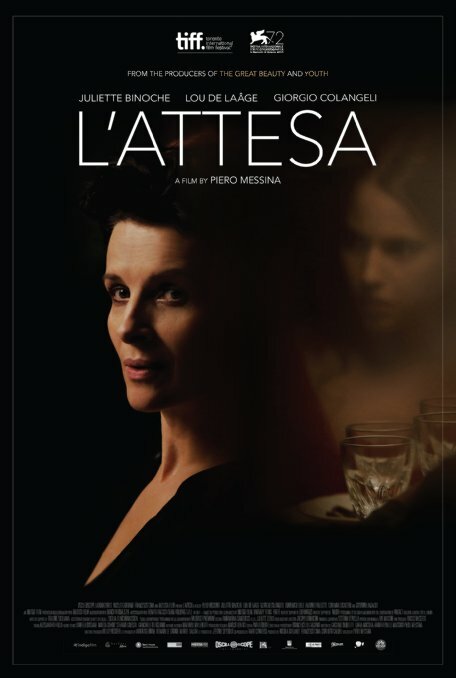 Grief, along with one's reactions to it, is hardly a new subject for the cinema, but I'll wager you won't have seen a film about grief any more beautiful than L'ATTESA, which translates as The Wait (the Italian word is so much lovelier, no? 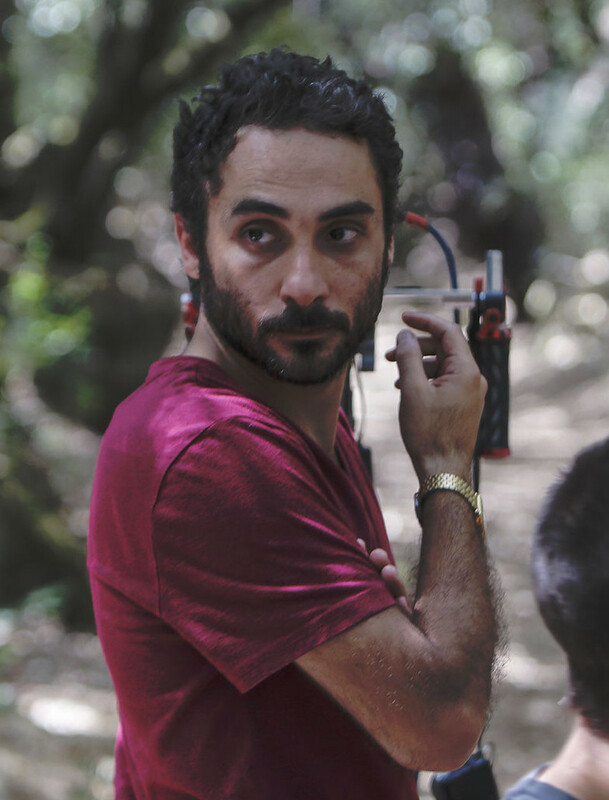 ), the new film from first-time/full-length writer-director, Piero Messina. In fact, this film opens (and continues along for some time) with one drop-dead gorgeous image after another, each beautifully composed and shot, that spread out before our eyes in, well, a kind of wonderment. Signore Messina, shown at right, begins with a canny mix of religious iconography and sexual imagery (yes, it's Jesus-on-the-cross doing his thing, once again). Is this a funeral? Yes, and eventually we see the coffin, followed soon by the mirrors being covered in a simply stunning Sicilian villa. 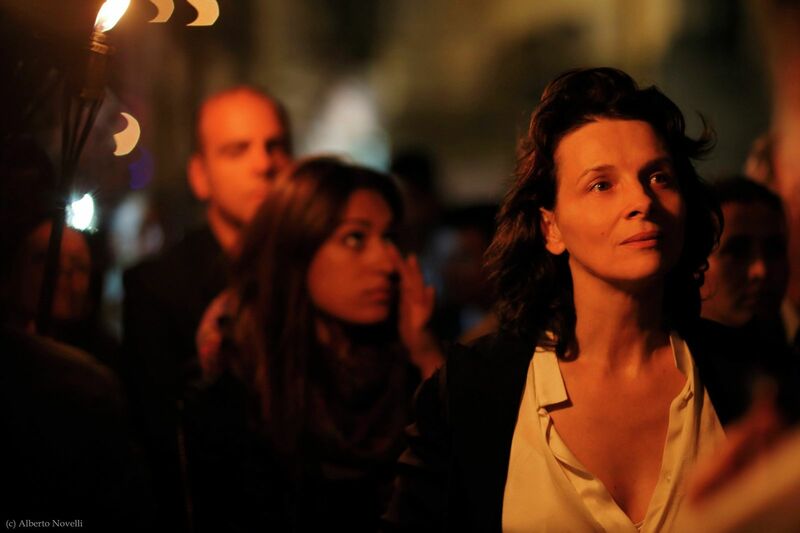 Readers who appreciate artful and superb cinematography have probably already stopped reading this review and are headed out to the nearest theater to catch L'Attesa, and I certainly can't blame them. The year is not quite half over, but this movie will certainly be remembered as one of its most beautiful. 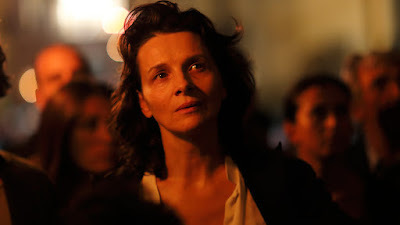 It also stars an actress who has become a big draw, if not an outright hallmark of quality for American arthouse audiences: Juliette Binoche (above), here seen at in one of her quieter and more inward modes. She plays the mother of the young man who occupies that aforementioned coffin. Or does he? This is -- and sort of is not -- completely clear, for awhile, at least. Is the son indeed dead? When his girlfriend (played by Lou de Laâge, shown below, and who was so impressive in last year's Breathe), shows up for a visit, mom can't quite bring herself to spill the beans to the girl, and thereby hangs the tale of this quietly fraught, maybe-not-quite-believable, but still pretty interesting (and omigod gorgeous) movie. Messina is not a huge fan of sparkling dialog (the Italian Noel Coward, he ain't). Words are used sparingly, especially at the film's beginning but also often throughout. Were not the filmmaker so adept visually, he might not hold us as well as he does. Once the girlfriend arrives and mom (very) slowly warms to her, and she to mom, the movie also warms up. So to what, exactly, does "the wait" refer? For the body (if it is indeed missing) to show up? For the right time to spill the beans? For mom to come to grips with her loss? Or is this "wait" actually an opportunity for bonding? Betrayal of sorts is found in the past, and soon in the present. (As we see, refusing to tell the truth is a kind of betrayal all its own.) A pair of young men -- one gay, one straight -- suddenly appears, and they are invited to dinner at the villa, which allows for even more minor dialog but further commanding visuals. The son's cell phone is used in a major way, providing access to various characters' thoughts and motives, as a strong feminist bond begin to grow between the two women. But, as the third major character insists -- mom's handyman and jack-of-all-trades (Il Divo's Giorgio Colangeli, shown above) -- the girlfriend should be told the truth. How this all pans out manages to be both semi-surprising and semi-expected, and if my good opinion of L'Attesa rests mainly on its visuals, this is because the film finally lacks much emotional resonance -- despite very good performances from its cast. 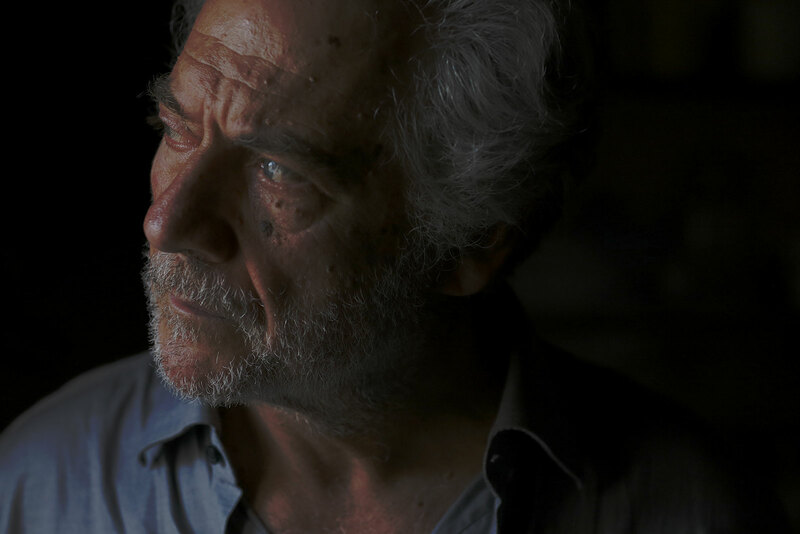 Plotwise, at this point in his movie-making career, Signore Messina seems a little too manipulative for his film's own good, and perhaps even too studied in his exquisite use of composition and cinematography (the camerawork here is by Francesco Di Giacomo). But I would call L'Attesa is a very good start to the further filmmaking that surely lies ahead.